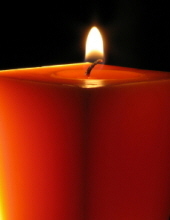 Carole Watnick (nee Multer) of New Rochelle, NY, passed away on December 4, 2018 peacefully after a long illness. She was 88, born in Brooklyn on October 30, 1930 to Charles & Edith Multer. Carole is survived by her beloved husband of 63 years, David Watnick, loving children, Emily Watnick (husband Gavin Bate) & Jonathan Watnick, cherished grandchildren. Alexander and Graham Bate, and Angelina and Hailey Watnick. She is also survived by a dear brother, Ira Multer (wife Karen). Carole had a long career in education in the New York City school system as a classroom teacher, guidance counselor, and special education teacher, helping thousands of children over many years. She will be remembered and very much missed by her devoted family and many friends. A Memorial Service will take place on Friday 12noon at Zion Memorial Chapel 785 E. Boston Post Rd Mamaroneck, 914-381-1809, followed by committal service at Mt. Eden Cemetery in Hawthorne, NY. To plant a tree in memory of Carole R. Watnick, please visit our Tribute Store. "Email Address" would like to share the life celebration of Carole R. Watnick. Click on the "link" to go to share a favorite memory or leave a condolence message for the family.